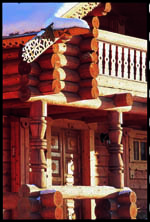 Steeped in history and with a rich cultural heritage, russia is a country which has long fascinated many. 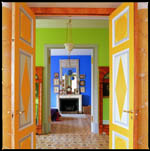 its love for colour, pattern and exuberant decoration is well known as is its stunning architecture and unique artistic style. this book draws on twelve beautiful examples of private apartments and country dachas, portraying a mix of traditional russian style combined with western influences. 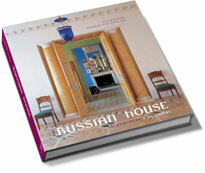 The Russian House illustrates not just the diversity of russian architectural and interior styles but also explores the intriguing history, evolution and personal significance of each one. from the decorative to the humble dwelling, the spirit of living in russia has rarely been as vividly conveyed.